This morning I found a surprising amount of traffic leading to my flickr account. I went to find the source, and was shocked to find this. 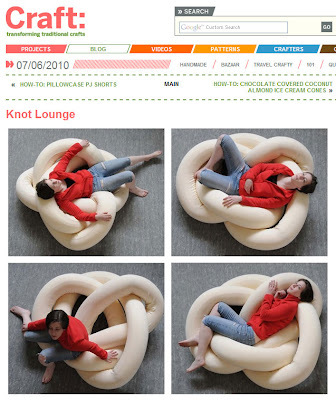 Thank you Becky Stern for writing about my "noodle chair" and for linking to my portfolio. awesome chair. it deserves the attention.